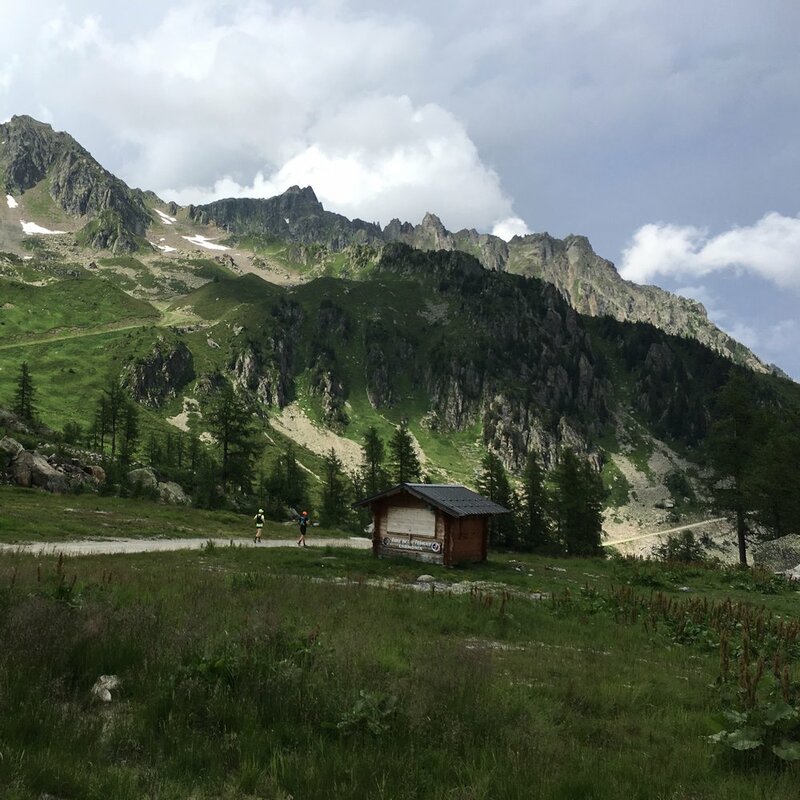 Welcome to Camp Endeavour OCC 2019 - a new breed of training camp designed to take you to the next level in trail running… And you guessed it by the name, we will indeed be running the iconic UTMB OCC route. 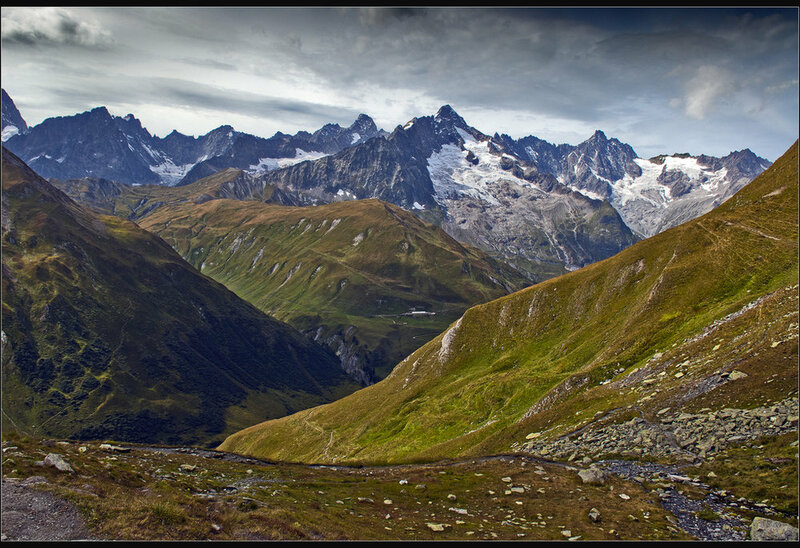 We know for a lot of trail runners out there, UTMB is the pinnacle of trail and with it becoming harder to get in to year on year we have decided to take you on that journey without the need to enter a ballot. To make it really enjoyable and still an epic challenge, we have split the route into two days giving you time to enjoy the trails and run in the footsteps of your trail running idols. Maverick Race have teamed up with GB Ultra Runner Tom Payn and his partner in crime Rachel Bonn Payn - both exceptional runners and veterans of UTMB. They also organise their own retreats, so have vast experience in the Alps and other locations. Please check out the RunNamasteEat website to get more info on them. 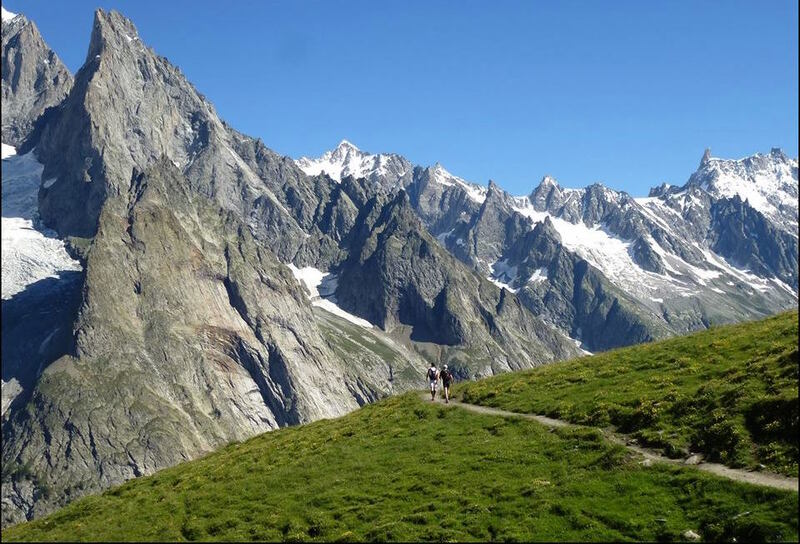 Running is in their blood and with extensive knowledge of all the UTMB routes in and around the Chamonix area, they are the best guides to lead you on this amazing adventure. Pre Camp Tom and Rachel will be taking you on a journey; from a bespoke training plan before you arrive in Chamonix, to coaching you throughout the weekend. Once you come off the mountain they will offer you training tips and yoga sessions to help you develop, recover and relax ready for another adventure. You will receive support from our superb event partners who will be providing you with extra treats; inov-8 will provide demo kit to give you the opportunity to test out their latest kit; Precision Hydration will offer you a bespoke hydration plan, followed up with all the hydration you’ll need for the mountains; while TRIBE will provide the during and post run nutrition. All runners will also receive a goodie bag on arrival with kit from Inov-8, Maverick Apparel and Precision Hydration. Camp Endeavour OCC has been designed to challenge you therefore we require that you should have completed at least one mountain/hilly trail marathon to enter this camp. We do require you to have a competent level of fitness - this is for your enjoyment and the safety of others in the group. Once you have signed up we will be in touch with you to find out all of your personal requirements and your current running ability. This will help Tom and Rach develop your personalised training plan in the lead up to your trip to Chamonix. We want you to have a fantastic experience and in no way is this camp aimed at elite runners - it’s all about you. We want it to be fun - a trip that will leave you thinking about the mountains long after you return home. Please note the camp does not include flights, transfers to and from the airport, or additional drinks. Secure your place now for only a £400 deposit, with the £400 balance due 8 weeks prior to travelling. If you decide to withdraw all payments are non-refundable or transferable. Your choice of airport, please see below for more info. Easyjet: London Gatwick: 6:30am - Arrive at 9:10am in Geneva. Or the 8:10am - Arrive at 10:45am in Geneva. There are numerous flight options leaving from different UK Airports to Geneva. Please follow the links to book. We would like you to arrive at the accommodation by 1pm so we can get the camp started on time. Please consider this when booking your flights and transfers. We recommend either of the first 2 flight options of the day for all of these airlines. Once you arrive in Geneva you’ll need a transfer to Chamonix. There are loads to choose from but we’ve previously used the 3 below with services to suit all arrivals from the UK. The journey is approx 1 hr 15 mins and they’ll drop you straight to the hotel door. The Alpina Eclectic Hôtel will be your home whilst in Chamonix. With stunning views over Mt Blanc and Brevent. All rooms are booked on a twin basis, but if you would like a double please let us know. If you’re travelling alone, please be aware that you will sharing with someone. Tom & Rachel from RunNamasteEat will contact you directly to establish your level and what you want from the trip. You will receive a personalised training plan one month before departure. You’ll also take the Precision Hydration online Sweat Test for a bespoke hydration plan. Full details of the trip will be sent out and all runners’ details will be gathered for the demo kit. 13:00 - Meet Ben, Justin, Tom and Rachel at accommodation. 13:30 - Lunch and going over the plan for the weekend plus a chance to meet the rest of the group. 15:30 - First run of the weekend, a nice short, gentle shake-out around 30-45 mins to assess running level and get to know you better. 16:30 - Yoga with Rach. This will stretch out those travelling muscles and prepare you in the right way for a big weekend in the mountains. 9:00 - Transfer to Orsieres (Approx 2 hours). 11:00 - Run Orsieres to Trient - 25.7km, +1672m -1292m with packed lunch stop at halfway. 17:30 - Check into Hotel Auberge du Mont Blanc (all rooms supplied on dormitory basis). 19:00 Approx - Evening meal at Hotel Auberge du Mont Blanc. 7:00 - Breakfast at Hotel Auberge du Mont Blanc. 8:00 - Pre run yoga (Ready to run). 9:00 - Run Trient to Chamonix 30.6km, +1788m, -2045m with packed lunch stop at halfway. 17:00 (Approx) - Arrive at Chamonix and check back in to The Alpina Eclectic Hôtel. 17:30 (Approx) - Post run yoga. 19:00 - Dinner, beer and final Q&A in Chamonix. Breakfast at your leisure at the hotel. A day to relax and explore Chamonix before departure.